With a wealth of experience in the plumbing trade, Paling Plumbing and Heating Ltd are pleased to offer plumbing services in Mexborough and the surrounding areas. Whatever your requirements, we are confident that we can provide you with a relevant service that meets your specific requirements at a fair and reasonable cost. Call us now or read on to find out more. 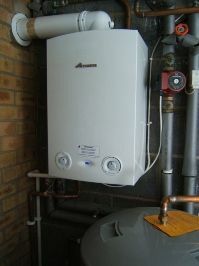 Paling Plumbing and Heating Ltd has worked extremely hard in order to establish a reputation that is second to none in the local area. Much of our clientele comes from word of mouth as satisfied customers tell others and first time clients become repeat customers. The high standard of workmanship that we deliver ensures that our customers enjoy a value for money experience with us, so for boiler installations in Mexborough, give us a call. In addition to the general plumbing services and gas work that we carry out working to current regulations, we also carry out solid fuel conversion work when required, and qualified in energy efficiency product supply and advice. For your convenience we accept debit and credit card payments, so whenever you require an experienced gas and solid fuel plumber in the Swinton area, contact Paling Plumbing and Heating Ltd.
For plumbing services from boiler installation to solid fuel conversion and full bathroom refurbishments in Mexborough, do not delay and contact Paling Plumbing and Heating Ltd today. We can be reached on the telephone number at the top of this page or you can send us an email via the contact us page.